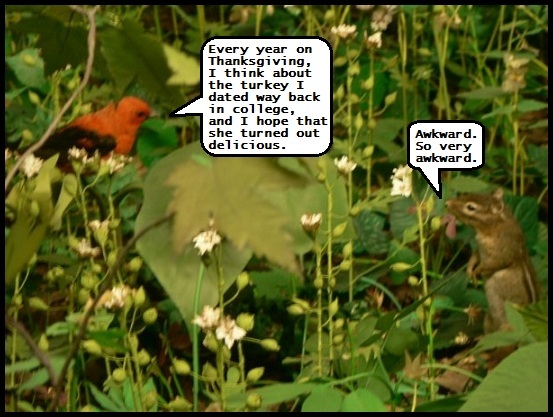 The Illiterate Badger | New comics Monday, Wednesday & Friday: Bonus Holiday Comic: Fowl Reflections. Bonus Holiday Comic: Fowl Reflections. Happy Thanksgiving from the Illiterate Badger, and lots of love.